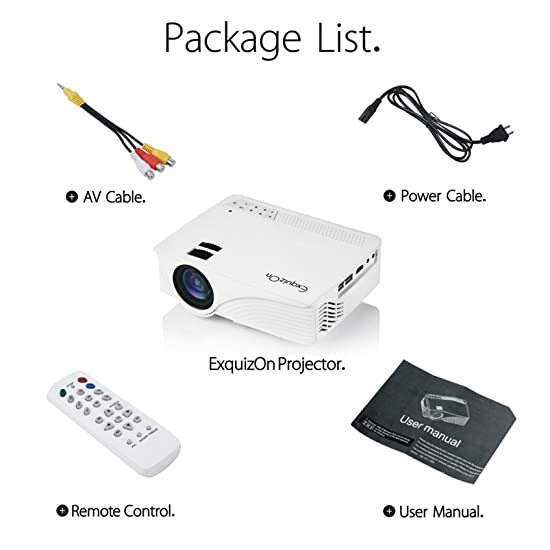 This projector is home-sized, light and easy to use. 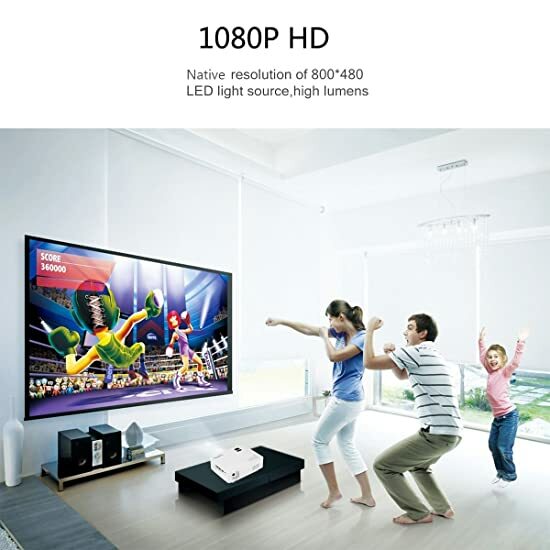 It could become your best ally to throw the best karaoke parties or to gather your friends for a movie marathon session at home. Its hassle-free setup will allow the user to use it as soon as it is out of the package. Moreover, it supports the most common inputs, making this device very simple and convenient to connect and to start using no matter if it is an adult or an infant in charge! 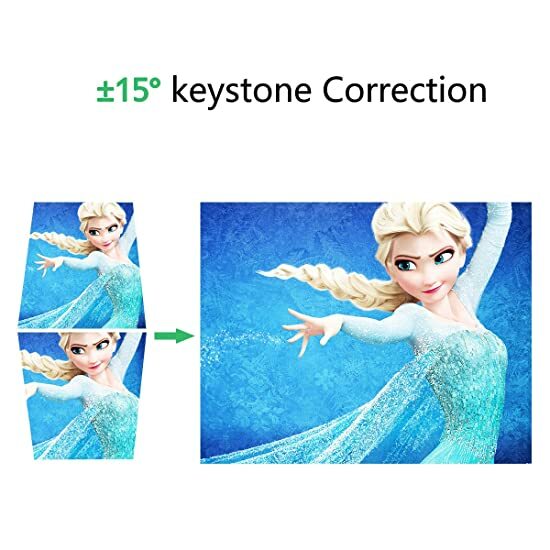 Exquizon GP12 has incorporated a manual keystone correction feature to align the screen and the image projected to obtain a squared image, even at an angle. Say bye once for all to the uncomfortable angles! 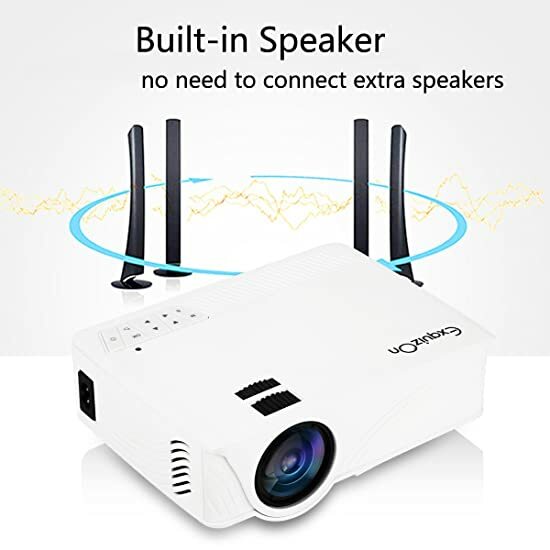 To connect the projector with iphone or ipad, you need an original Apple AV composite cable (Lightning Digital AV Adapter) to connect them. 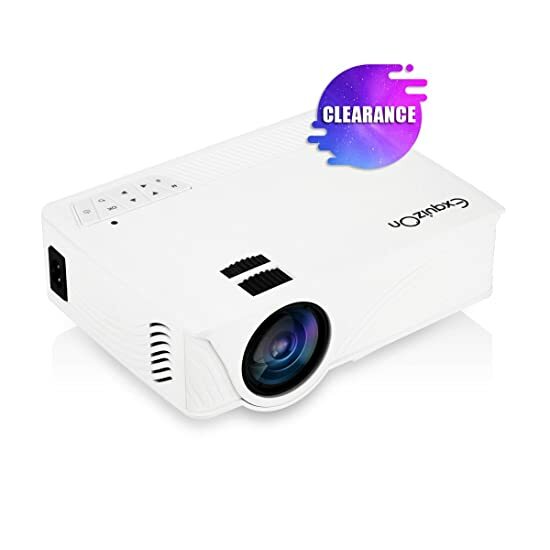 【50% brighter than basic led projector】1500 lumens, perfect for projecting at home for movie watching or gaming. 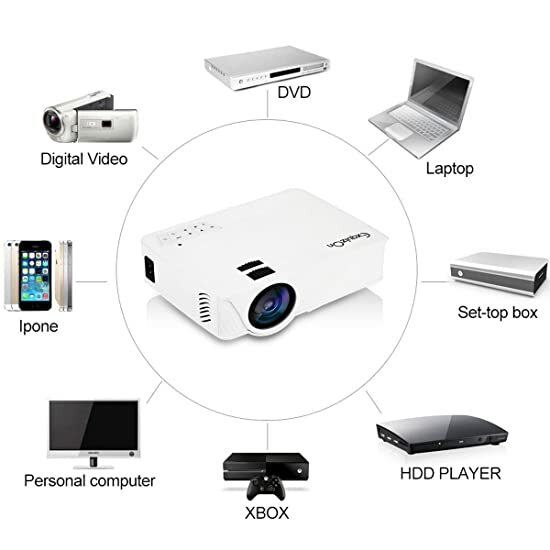 【upgraded cooling system】this projector equipped with an upgraded cooling system. More powerful for cooling but less noise. 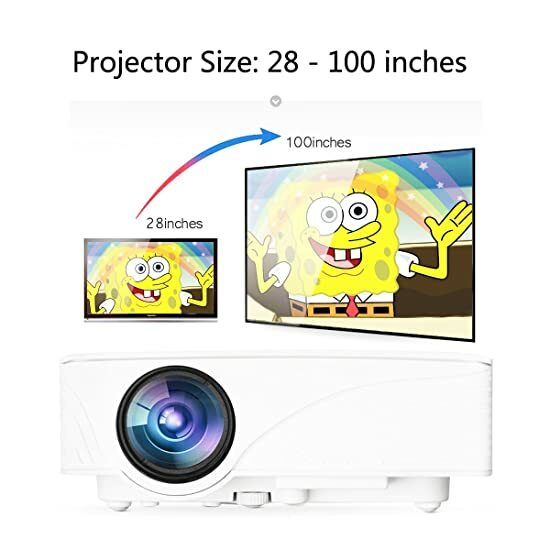 【perfect image size for you】the image can be from 32" to 120" with trow distance from 3 ft to 10 ft.
【wireless screen sharing】 you can connect your smart phone(support MHL function) or ipad to this projector with wireless HDMI dongle (not included). 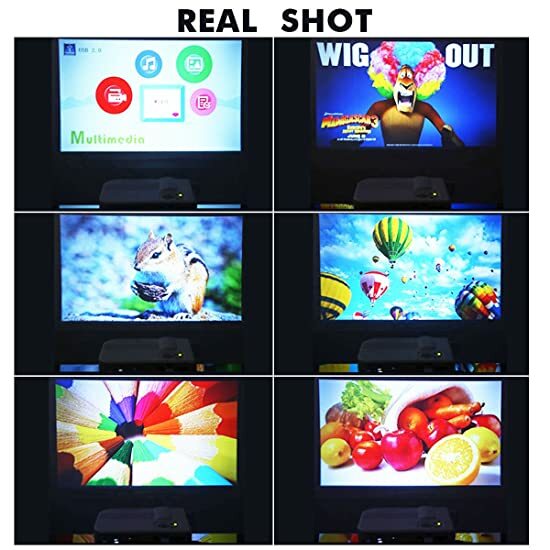 【leading warranty service】3 year product warranty and we also provide all kinds of professional guidance if you need, please feel free to make contact.